Walking around the old town is a feast of sights and sounds for the senses. With over 400 years of history, you can bet there are many legends, stories and anecdotes to tell of Casco Viejo’s past. Live Walk PTY takes the traditional Casco Viejo walking tour one step further by enlisting a full cast of actors and locals to reenact historic events right where they took place. 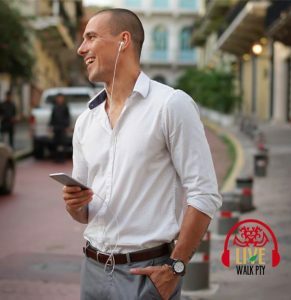 Download the app to listen to a personal audio guided walking tour that uses your GPS location to guide you to certain points in Casco Viejo. At each location you can listen to an audio reenactment of historic events that happened in the area, immersing you in stories of the plazas, churches and canal told in dramatic fashion. A free version of the app is available in the Apple App Store where you can preview the tour. You can buy the full tour of Casco Viejo for $3.99, and if you like it, the tour of Santa Ana and Avenida Central is $1.99. It is available in English and Spanish, and functions 100% offline. 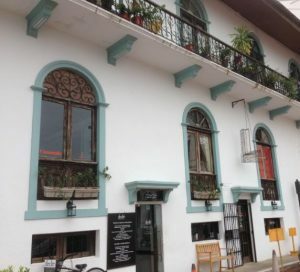 Located in the old Casa de los Soldados de la Independencia (House of the Soldiers of the Independence), the Centro Cultural de España (CCE) is a unique and charming center that offers visitors an exhibition room, a library and a charming rooftop cafe bar. The center hosts diverse and interesting events such as film festivals, art exhibits, conferences, as well as musicians, guest speakers, photographers and other creatives and intellectuals.The center was established as a collaboration between Panama and Spain to promote knowledge, culture and the exchange of ideas. 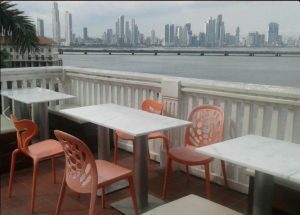 If you visit on a day with no programming, head to the roof where a delightful rooftop cafe bar called La Terraza de Casa del Soldado will treat you to tapas, a coffee or beer, and some of the most magnificent views of Panama City. To find this gem, walk from the Plaza de Francia at the tip of the peninsula up the stairs to the Paseo de Las Bovedas. Here you can see a beautiful view of the Panama City Bay, Bridge of the Americas (Puente de las Americas) and the Amador Causeway. Continue along the Paseo de Las Bovedas until you come to the charming bougainvillea covered Esteban Huertas Promenade. There is an entrance to the Center along this promenade. Admission to the center is free. It is open Tuesday to Sunday from 10:00 a.m. to 8:00 p.m.
Casasola is a non-profit independent art and photography exhibition space. This unconventional space allows the visitor to observe, reflect, and feel at home in this extraordinary cultural corner. The space is dedicated to research, exhibitions and education that connect people of all ages through non-conventional art and design. You can expect art that encourages reflection and debate. Casasola wants to enrich society by providing a space for cultural, social and political debate through participating, appreciating and exposing all people to art and design projects. It is a unique art experience unlike any other in Casco Viejo. Casasola is open Monday thru Saturday from 11am – 8pm. Contact Casasola for a guided tour, the attention to detail to the visitor is unique in itself. Casasola does not charge admission but gratefully accepts any donations. It is located on the first floor of Cafe Dodo in the Plaza de Francia. The Fortaleza Tour is unlike any tour you’ve ever taken before. Led by graduates of Esperanza S.F., a gang intervention and reintegration program, this tour takes you through what used to be the heart of gang territory in the former “Ciudad de Dios.” Ex-gang members are your tour guides as they explain the history of the area that used to be identified as “the red zone,” an area once rampant with gang activity including drug dealing and robbery. The reformed guides lead this unique tour through areas that used to be off-limits to visitors, showing off bullet holes and dilapidated dwellings, as well as the new buildings that are the products of the area’s recent urban renewal. The guides will tell you about how life used to be, and also how they are changing their lives for the better and encouraging others to do the same. 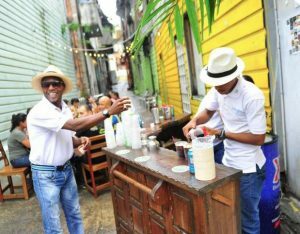 The cost is $20 per person for the tour, or $30 for a tour culminating with a tasty fish dinner and the famous Mojito Fortaleza. The tour is in Spanish, and a translator is available upon request. If you speak Spanish, call or Whatsapp Jaffet at +507 6031-8961 or Antonio at +507 6638-2876 to book the Fortaleza Tour. You can also send a message to the Esperanza Facebook page for communication in English. Walking around Casco Viejo you will notice the Presidential Protection Service (SPI) wearing maroon berets and black fatigues. These men and women are all business while on duty, but early mornings you might be able to catch them playing the beautiful game. Head over to the semi-enclosed court located at the entrance to the Cinta Costera near Calle 8va (8th Street) at around 7am and you will see the off-duty guards going head to head against each other in a game of pick-up soccer. If you think you have what it takes to keep up with these guys, ask if you can join. More often than not you’ll be invited in to play. Be prepared to sweat and make some new friends. If you’ve ever wanted to run off and join the circus, here’s your chance to see if you’ve got what it takes. 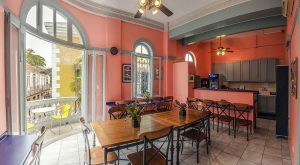 El Cuarto Rojo is a fun and unique space in Casco Viejo that teaches circus performance, aerial dancing, contemporary dance and various types of yoga. 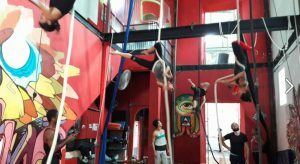 Founded by the contemporary circus group La Tribu Performance, El Cuarto Rojo offers fun and unique classes combining acrobatics, gymnastics, dance, strength and flexibility. If you’ve never tried anything like it, no worries, beginners are welcome. Check out their schedule to find a class that piques your interests and fits your schedule. El Cuarto Rojo is located on Calle 5ta (5th Street). Classes are $15 and offered everyday in Spanish. For a long time, the best fried fish in Panama was sold at a fonda in front of a Chorrillo housing project. Tourists didn’t dare venture to this spot, and if they did, they’d be told that they were in the wrong place. Things have changed since the development of the Cinta Costera, 3 added acres of fill from the expanded canal to create a new waterfront park, stadium, pavilions and other amenities to the area. 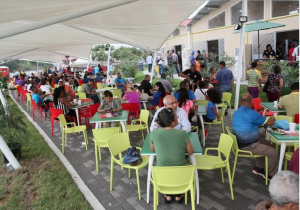 In a pavilion next to the stadium you will find Sabores del Chorrillo serving Chorrillo’s famous fried fish and other legitimate and local fare. This spot is bien authentico if you’re looking for fantastic and authentic Panamanian food. Drive or bike (see suggestion #9) to the end of the Cinta Costera 3 (the road that circles Casco) along Avenida de los Poetas. You’ll see the stadium and next to it, you will find a pavilion with various food vendors serving up the best fish in town. Tables and chairs are provided under a shaded area that offer great views of the bay and Amador Causeway. Hours are from noon until 10 p.m., open everyday except Monday. 8) Prepare a meal from the Mercado de Mariscos. Have you been traveling on the road for weeks and would love the comfort of preparing a home cooked meal? Are you a great cook and looking to get creative with local flavors and fresh produce? Do you want to challenge your comrades to a Panamanian-inspired cook-off? If yes, then head over to the Mercado de Mariscos (Fish Market). Located just a short walk along the scenic Cinta Costera, the market offers a multitude of freshly caught, gorgeous fish and seafood. Whether you’re picking up pargo rojo, atun, or langostinos, engage with the vendor who is usually more than happy to tell you where it came from, and bargain with a smile. On your way out, pick up a cup of ceviche for your walk home, or eat it in the shade with a cold pinta. Produce vendors sit outside the market if you need to pick up any staples like garlic, onion, peppers, citrus and other fruit. A Rey grocery store is located on Ave Central towards Caledonia, along with various chinos (bodegas) where you can pick up other groceries or a bottle of wine for your grand feast. The Magnolia Inn has a bright and spacious kitchen with pots and pans and other cooking utensils that both hotel and hostel guests may use. The Cinta Costera is Panama City’s beautifully bejeweled beltway around the Bahia de Panamá. Extending from Panama’s downtown, traversing the length of the city’s coast, the Cinta leads into Casco Viejo. If you veer left you can take the ciclovia (bike path) up and around the old city on an elevated, landscaped bike and pedestrian walkway with fantastic views and cooling ocean breezes. Whether walking or biking, the Cinta is great exercise and a pleasant way to see the city. It’s two and a half miles from Paitilla to the Cathedral Plaza in Casco, and four miles if you take the elevated route around Casco Antiguo to Maracana Stadium and Sabores de Chorillo (see suggestion 7). Interestingly, Panama used the excavated land taken from the expansion of the Panama Canal to add land to the coastal belt on which the Cinta was built. The reclaimed land added parks, courts, a children’s playground, stadium, miradors and other amenities to the coastal strip. While great for exercise, and a pleasant way to see the city, it is also a great spot for eating popsicles and people watching. Avoid the Cinta in the middle of the day as it can be brutally hot and humid, but mornings and especially evenings are pleasant for a stroll. Renting bikes and riding the whole Cinta is also a great option. Get One Bikes is a stone’s throw to the Cinta Costera on Avenida Balboa (in the H2O building). They rents bikes at $5 per hour or make a day of it for $25. On Sundays, Panama shuts down some of its main roads to cars in order to promote biking. 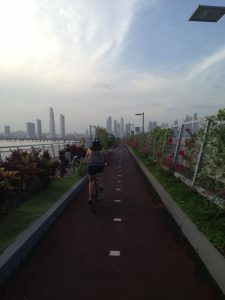 You can ride the Cinta from the skyscrapers of downtown all the way to the tip of Amador Causeway on a bike lane separated from traffic. It is a most pleasant way to spend a Sunday in the city! Panama City was founded in 1519 and is the oldest continuously occupied European settlement on the Pacific coast of the Americas. The original site of Panama City was affected by slave rebellion, fire and an earthquake, and was eventually destroyed by Henry Morgan’s devastating pirate attack in 1671. In 1673 the city was moved almost 8km southeast, to the small peninsula at the foot of Ancón hill, what is now Casco Viejo. This new location took advantage of the rocks and reefs that surround the peninsula to protect it from future sea attacks. The intimate relationship between the sea and Panama’s old town is one reason Unesco granted World Heritage status to Casco Viejo. If you want to experience this relationship first hand, contact John from Panama Paddle and try a paddleboarding class. 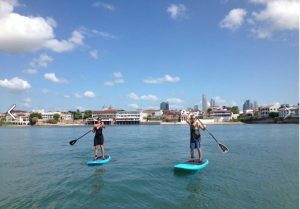 These classes launch from the beach in Casco and take you out into the water for one of a kind views and a truly unique experience. As of this writing there isn’t a set schedule for classes so contact John for more information: +507 6256-4061.